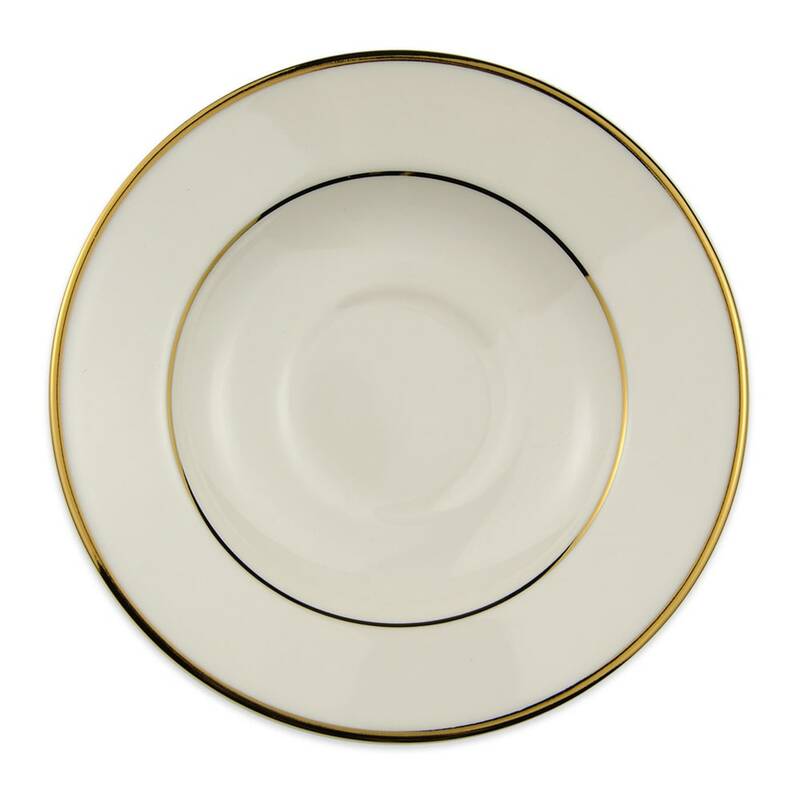 The Homer Laughlin 7011409 cavalier saucer has a small diameter of 53⁄4 inches, allowing the dish to easily fit on most surfaces without taking up too much space. Durability is provided by the china construction of the saucer, reducing the risk of chipping and scratching. 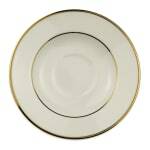 The gold stripe along the rim enhances the look of the saucer; food stands out against the ivory of the plate. The Homer Laughlin 7011409 cavalier saucer pairs with the 7001409 cavalier cup so you can easily serve coffee and tea.